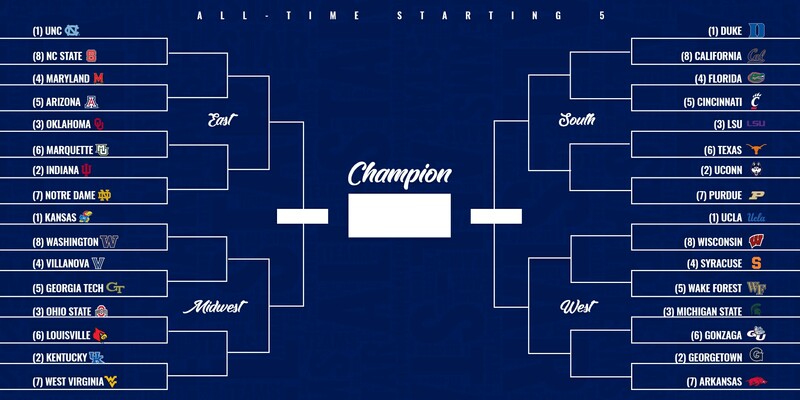 Everyone loves the NCAA tournament so this offseason, NCAA.com put together a March Madness-style bracket to determine the greatest college basketball starting five of all-time. Thirty-two schools qualified for the bracket, which features four regions with eight teams each, seeded No. 1 through No. 8, in a five-round, single-elimination format. Voting will be conducted on the @MarchMadness Twitter account beginning Tuesday, July 17, and the team with more fan votes in each matchup will advance to the next round. Voting will also take place in March Madness Instagram Stories, where the results will serve as a tiebreaker if the Twitter results are 50-50. 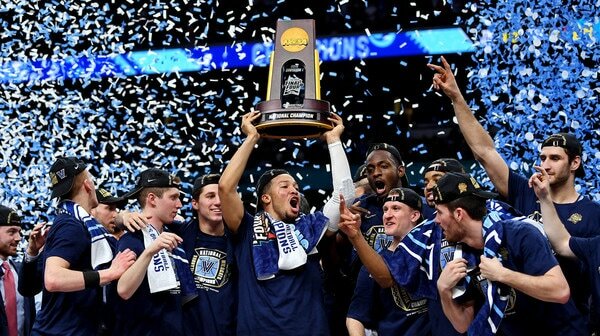 Players and teams were selected and seeded by Andy Katz and the NCAA.com editorial team based on a combination of legendary status, on-court performance and career achievements. Take a look at the bracket below, which features No. 1 seeds North Carolina, Duke, Kansas and UCLA. Click on the bracket to see a full-sized image.